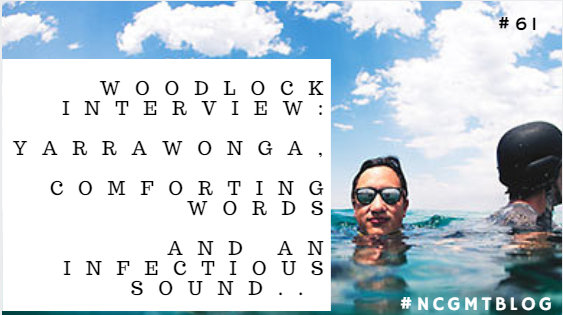 Woodlock Interview: Yarrawonga, Comforting Words and an Infectious Sound. When I discover a new band I like to learn about where they came from, their names and other interesting facts. AUSTRALIA. First of all a country so far away from my little country of Ireland. Then to read the name of where the boys were from. Yarrawonga? I mean, even the name alone reminds me of something Aboriginal. 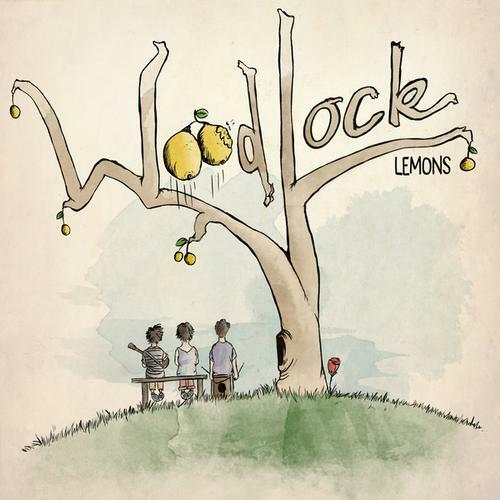 I discovered Woodlock's music by absolute chance a few months while in my first year of college. I am subscribed to a Youtube Account called TheMostlyStrings and happened upon the song "Lemons". It's such a sweet song. Then I took to Spotify to see if I could find more songs that I liked of theirs. These were Blood Brothers and American Honey Blonde. 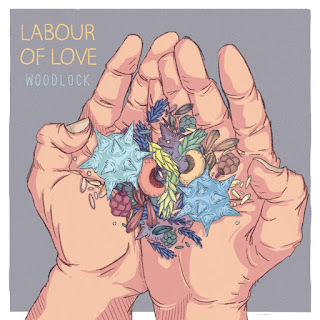 I contacted Woodlock through bandcamp.com. When I woke up this morning I was actually thinking about how none of the people I'd emailed had gotten back to me so I was feeling a little down about it. I went into my email and refreshed moodily. Then an email popped up, from 6:30 AM. 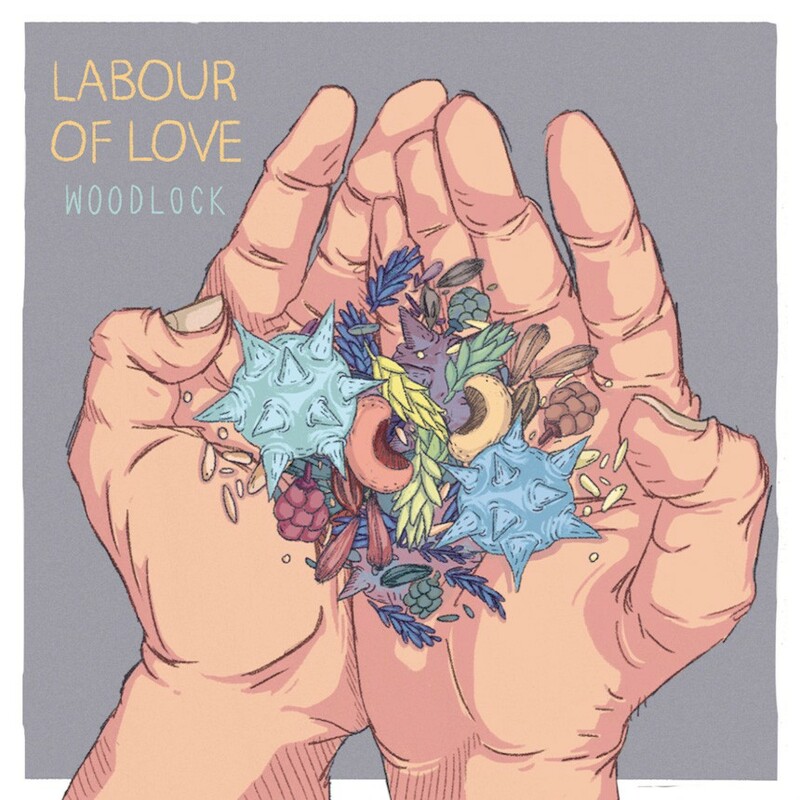 WOODLOCK! The band consists of brothers Zech and Eze Walters and their friend Bowen Purcell. From inland Yarrawonga, these boys are based in Melbourne, Australia. Well Eze and I (Zech) were homeschooled, and our mum was a muso ( Australian slang for music fanatic for us Irish people), so when she taught us everything we learnt was done through song, Maths, English, Geography, History and almost everything had a song to it. We plan to tour an overseas country, write and produce for other artists. We have lots of goals, but this coming year is definitely aimed at becoming a household name. I particularly connected to the song "Blood Brothers". Could you talk a bit about writing the song, the song's meaning to you and the video for the song? We love a lot of artists but we’d say this is our Top 5 in no particular order, For us music is about telling a story, whether it be through the lyrics, melody, or just the beat. When a song makes you feel something its achieved a purpose. and with these artists there's something about the way they capture our attention that we really love. Where do you draw inspiration for writing songs? Everything! Gaming, Life, Love , Movies and other songs. We write songs about so many things, heck we have a song we wrote about “fish ’n’ chips!” I’d say for us it goes further than drawing inspiration. It's how we experience the world. It’s how we interpret and understand what’s around us. Their second EP "Labour of Love"
Where would you like to travel for your music? 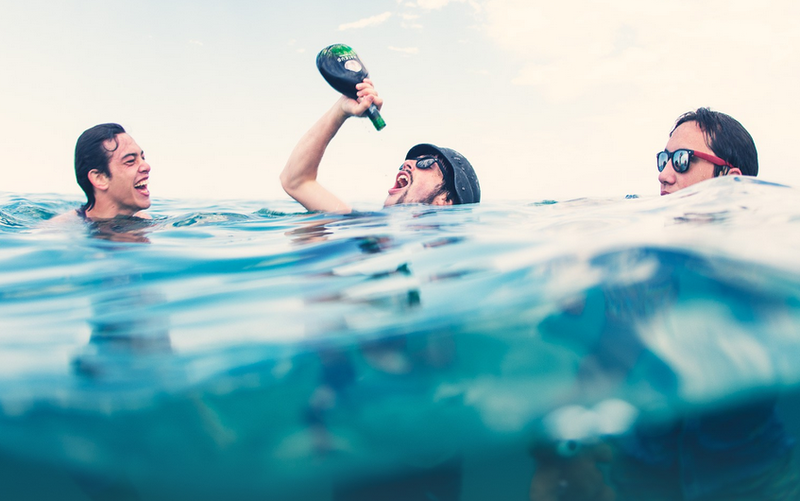 Anywhere it takes us! If we could play in every country, that'd be so amazing! What's the best part about playing to live crowds? So many things! But above all the best part is the energy. The moment where everyone is there singing the same thing, there's power in it. So we want to make sure that we sing something that will make life a little better. That struck a chord with me, when Zech said that Woodlock wanted to sing "something that will make life a little better". Honestly the song "Blood Brothers" has really comforted me particularly the last three nights. 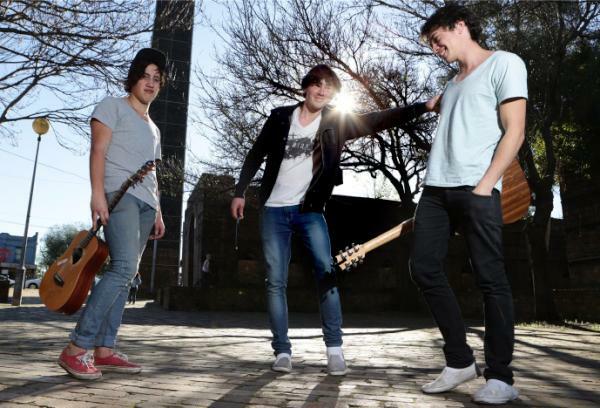 Woodlock are, as of now a signed band. on June 30th this year they signed with 123 Agency. They slowly built up a strong fan base by busking in the streets of Melbourne. Their sound has progressed from their first EP "Lemons". The first song of "Labour of Love" I heard was "Baby Girl" and the song made me feel both extremely sad and comforted all at once. The song is about a break up and in short speaks volumes about things that I wish I could still say. At the moment I'm going through a very rough patch in my life and for some reason a few days ago I just decided on a whim to listen to "Blood Brothers" and it really soothed me and made me feel a bit better about myself "You are not your mistakes"
"We have grown apart, our blood will keep us as kin"
My favourite songs has to be either Blood Brothers, Baby Girl or The Garden. I'm sooo excited for this interview, because even though they aren't that well known here in Ireland I absolutely love their music so this is a big deal for me. I hope you all will get behind them. THANK YOU to Zech from Woodlock for getting back to me. Happy belated birthday! "Baby Girl" is such an infectious tune with catchy beats. NEW MUSIC COMING SOON SO FOLLOW THEM ON ALL SOCIAL MEDIAS TO STAY UP TO DATE! Winterbourne (these guys are friends with the Woodlock guys) and Castlecomer, whose song "Forrest" I sent to someone a few months ago. 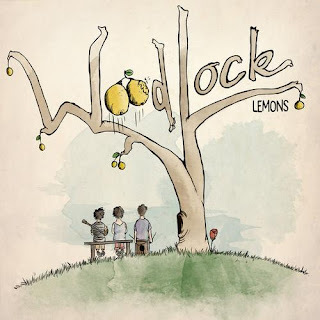 My phone's background at the moment is in fact, Woodlock's EP "Lemons"
I really hope they tour Ireland some day. I'll be there if they do. 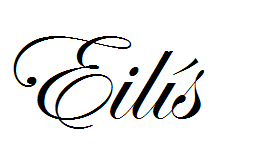 Their aim is to become a household name and my fingers are crossed for them. Please support them. I researched the word Yarrawonga for you all: HERE. It's derived from the Aboriginal words for running water and pigeons. I THINK. Shaky video but here's a video of their tune: "The Fallout"
My phone's wallpaper at the moment, actually! I found your blog through a comment on Rookie Magazine - I'm so glad I did! I also LOVE Woodstock, and I'm so happy to see their success so far. This interview is so interesting. Go you!